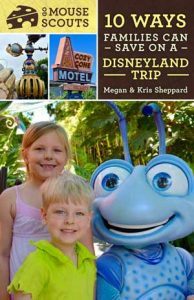 Go Mouse Scouts | Visiting Disneyland and Disney World with Kids | A Fan Podcast Bringing you Disney Park Tips & Family Fun! : 123 Park Tip: Avoiding Meltdowns at Disney! 123 Park Tip: Avoiding Meltdowns at Disney! Kris & Megan talk about the top 5 reasons your kids might have meltdowns and how to avoid them. Here are the top five reasons your kids might have meltdowns while visiting Disneyland or Walt Disney World. Just because you're at the Disney Parks doesn't mean your kids will ignore their normal eating schedule. Keep this in mind and try to have snacks ready for their normal eating times if your next meal is going to be a little later than normal. Same thing here. If your young kids and babies are used to a nap schedule, keep this in mind. You may not be able to get them to nap at the parks, but at least it'll give you some understanding as to their behavior. We'd suggest having some "quiet time" and finding an out of the way area to get away from all the busyness of the park. Try to keep your kids body temperature in mind while you're at the parks. Especially if you're babywearing or if your kids are in hot costumes. Sometimes your kids will need to get out and expend some energy. Especially if they've been sitting in a stroller or up in a baby carrier all day. Let them down to walk along with you if they're able or find a play area like Princess Dot's Puddle Park in DCA. There's so much to see, smell, taste, hear, and feel at the Disney parks, it's easy for young kids to get overstimulated. Be aware of that and try to find ways where your kids can tune to the outside world, like in the stroller, or to be able to turn inward to you if they're being worn.